Skot Nelson captured Kurt Vile performing his song “In My Time” at Zulu Records in Vancouver, Nov 5 2010. That night the Philadelphia played the Biltmore Cabaret with San Diego’s The Soft Pack. Vile is a founding member of the band War on Drugs. He left the band following the release of their 2008 debut Wagonwheel Blues. His solo albums include Constant Hitmaker (2008), God Is Saying This to You…(2009), and his latest, Childish Prodigy on Matador Records. 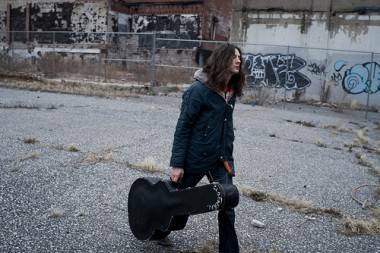 Kurt Vile live in store acoustic performance at Zulu Records from Skot Nelson on Vimeo. This entry was posted in videos and tagged indie-rock, Music, Vancouver, videos, Zulu Records. Bookmark the permalink.